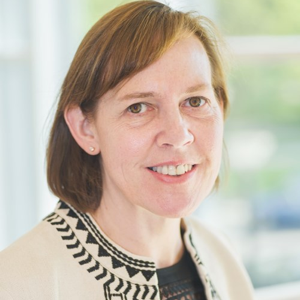 Ellen Lust is the Founding Director of the Programs on Governance and Local Development at Yale University (est. 2013) and at the University of Gothenburg (est. 2015), and Professor in the Department of Political Science at the University of Gothenburg. She also serves as a Non-Resident Senior Fellow at the Project on Middle East Democracy in Washington, DC. She received her M.A. in Modern Middle East and North African Studies (1993) and PhD in Political Science from the University of Michigan (1997). She held faculty positions at Rice University and Yale University, and was a visiting scholar at the Institute of Graduate Studies (Geneva, Switzerland) and the Straus Institute in the Law School at NYU. Ellen has conducted fieldwork and implemented surveys in Egypt, Jordan, Libya, Morocco, Palestine, Syria and Tunisia. She has authored numerous books and articles, including most recently, Trust, Voice and Incentives: Learning from Local Successes in Service Delivery in the Middle East and North Africa(Washington, DC: World Bank, 2015) in collaboration with Hana Brixi and Michael Woolcock. Her current research is aimed at developing local governance indicators and examining the role of social institutions in governance. She was a co-founder of the Transitional Governance Project, a founding associate editor of Middle East Law and Governance, and has served as an advisor and consultant to such organizations as the Carter Center, Freedom House, NDI, UNDEF, UNDP, USAID, and the World Bank. Foundations such as the Moulay Hicham Foundation, National Science Foundation, Social Science Research Council, and the Swedish Research Council have supported her work.